Valo, a multi-award-winning digital workplace solution for Microsoft Office 365 and SharePoint, is recognized by European SharePoint Conference Community for Most Innovative SharePoint Solution and Best Mobile Solution. It’s awesome to be a double finalist, again! The ESPC Community Awards are some of the most prestigious awards voted by the panel of SharePoint, Office 365 and Azure independent judges. ESPC is the leading SharePoint, Office 365 and Azure Event in Europe. Last year at ESPC 2017 in Dublin, Valo won the Best Intranet/Extranet 2017 Award, for the second year in a row. And more great news coming up! Valo Intranet is the world’s first complete intranet solution built 100% on top of Modern SharePoint, Communication Sites, Hub Sites, Modern Team Sites, while leveraging the power of Azure, which utilizes Cognitive Services and Azure Functions. Valo Intranet along with Valo’s product family – including Intranet, Teamwork, Idea Management and Mobile App – are leveraging all the latest and greatest Office 365 capabilities. Modern Valo Intranet is a great step for us in our digital workplace journey.  It not only does allows us to play with the latest and greatest technology delivered by the SharePoint team, but it pushes our team to innovate to bring the communication and collaboration limits further, bringing new empowering experiences to our customer! Our passion is to build modern workplaces where employees can feel more connected through our solutions that boost communication, collaboration, and co-innovation at work. It’s only sunshine, smiles and good times ahead! We are humbled to be listed among the best solution providers in the Microsoft Office 365 and SharePoint industry. Our products are made with #ValoLove by a super talented team who believe in building a digital workplace that brings real value and positive impact for employees – because life is too short for a crappy workday experience. What do the ESPC Awards stand for? The ESPC Awards represent and recognize the best projects, people and teams in Europe and are an affirmation of the hard work, innovation, and dedication of those in the SharePoint, Office 365 and Azure community. It’s about celebrating excellence, innovation, and outstanding contributions. The winners in each category will be crowned best in Europe live on the keynote main stage at ESPC18 in Copenhagen, Denmark, November 26-29. We hope to see many Valo friends there to cheer for us! Thumbs up and much #ValoLove!  Last year Valo won the Best Intranet/Extranet 2017 Award at ESPC, for the second year in a row. Exciting to see how it goes this time – heartbeats rising like never before! During the 4-day ESPC conference, remember to swing by our pink Valo booth to grab some cool #ValoSwag and get your personal demo tour of Valo solutions, the ESPC award finalists for 2018! Valo is the heart of your digital workplace. Our most recognized product is multi-award-winning Valo Intranet with more than a million happy users. Our solutions are delivered by our strong worldwide community of Valo Partners, including over 50 Microsoft MVPs. Prepare yourself for the next step in your journey towards a complete digital workplace experience. Valo Intranet allows you to fully utilize everything that Modern SharePoint offers – and much more!